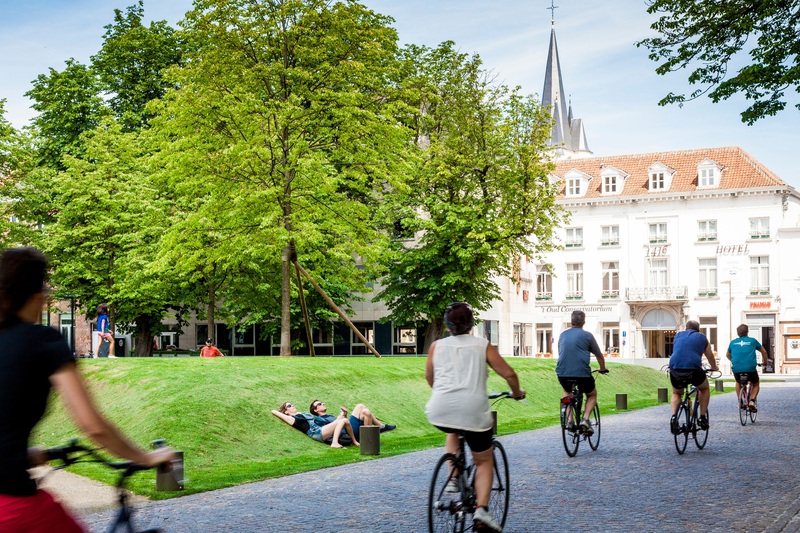 Mechelen enjoys the best possible central location whatever your preferred mode of transport. And for cyclists it couldn't be better either! Many cycle paths, which are part of the famous Cycle Network Routes and Flanders Cycle Route, lead alongside rivers and other watercourses to Mechelen. So the historic centre of Mechelen is highly accessible by bicycle and on your way there you can also enjoy the beautiful countryside. If your muscles are beginning to ache from a day in the saddle, you'll find no shortage of bicycle-friendly hotels, guest-houses and lodging for hikers with a secure bicycle rack or shed. And if your bicycle has developed a mechanical problem, don't worry! There are several bicycle repair shops in Mechelen.